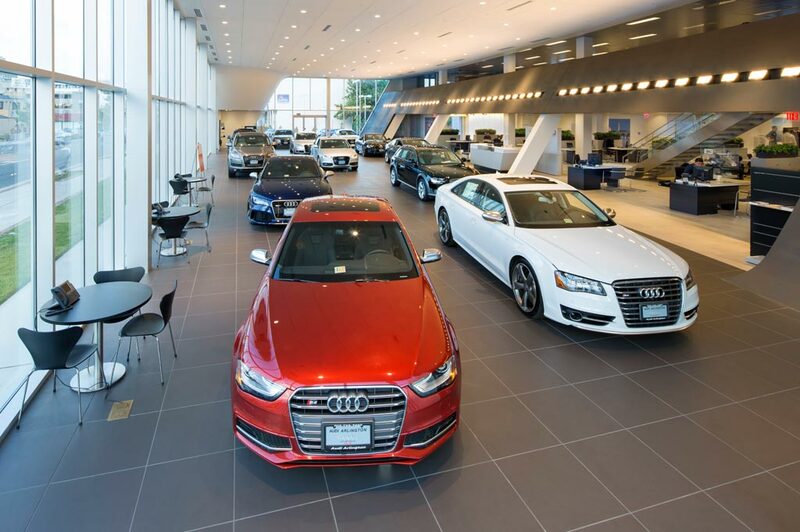 Audi Bridgewater in Bridgewater, NJ treats the needs of each individual customer with paramount concern. We know that you have high expectations, and as a car dealer we enjoy the challenge of meeting and exceeding those standards each and every time. Allow us to demonstrate our commitment to excellence! Our experienced sales staff is eager to share its knowledge and enthusiasm with you. We encourage you to browse our online inventory, schedule a test drive and investigate financing options. You can also request more information about a vehicle using our online form or by calling 908-800-9000. Here at Audi Bridgewater, Serving Morristown NJ, Warren NJ, Chester NJ and Hillsborough NJ, We are Here to Help! Pretty much any car dealership can talk about its wide selection of vehicles, and standout customer service, but we live it in our showroom here in Bridgewater. You can find a multitude of new and used Audi models, along with a full service center, and get all the details on any vehicle that grabs your attention, thanks to our team that guides you through the process, encourages browsing and asking questions, so you can learn and make a smart, and informed decision about your next new ride. That, and much more separates us here at Audi Bridgewater from the rest, and it's why we're the place to go! You can discover the joys of driving a new Audi model when you visit our nearby dealership in Bridgewater. Our friendly and professional staff will be happy to facilitate a test drive in a new Q5, Q7, A5, A4 or Q3. Get behind the wheel to find that our new cars are defined by eye-catching good looks, confidence-inspiring performance and premium quality cabins. With a host of safety and connectivity features available, a new Audi vehicle is the ultimate travel companion for every journey! Once you've had a look at the latest offerings from Audi, you'll definitely want to check out our selection of used cars as well. We work tirelessly to maintain a selection of yesteryear's brightest Audi gems, ensuring you drive off in a used car that saves you money and performs admirably, no matter where in Bridgewater, Morristown NJ, Warren NJ, Chester NJ or Hillsborough NJ you take it. To get the most out of your vehicle in terms of a long-lasting and quality drive, our relationship with you here at Audi Bridgewater is going to be ongoing. That's because we want to ensure your safety and driving efficiency via our onsite car service and repair center in Bridgewater. We have the latest tools and equipment to diagnose, repair, and fix your automotive needs, and of course we only use the highest quality of Audi parts to keep your vehicle integrity high, and you enjoying a smooth drive no matter where you go. Any car dealer can sell you a Audi; any body shop can fix a ding in your door; any parts store can sell you an oil change kit. But only the team at Audi Bridgewater can do it all with the level of care, compassion, and professionalism that you're looking for. Visit us today in Bridgewater, and see why so many drivers in Morristown NJ, Warren NJ, Chester NJ and Hillsborough NJ are choosing our team as their prime source for everything auto!